Guitarist Joe Morris has spent three decades finding ways to contribute to the language of the guitar and to the literature of improvised music. He’s managed to stay true to himself and his sound during that entire time, even as he’s added the bass to his repertoire. 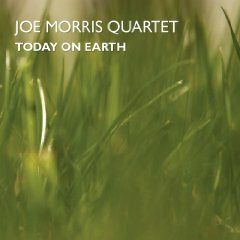 On Today On Earth (AUM Fidelity, 2009), Morris continues to explore the place of the guitar in the world of free improvisation. In this interview, Morris talks about his early decision to play without effects; how the masters of the music create their own technique; and the innovative way he teaches his students to do what feels right with their music. Learn more at www.joe-morris.com. Previous PostPrevious What is jazz, anyway?